There are 170 known fossil elephant species that inhabited the whole Earth, except for Australia and Antarctica. The elephants’ ancestors appeared 50 million years ago in North Africa and were pig sized. Amazingly elephants, lions, and camels roamed Alaska 12,000 years ago. In Fact elephants are the largest mammals living on land. Life span is about 70 years. The oldest elephant ever was Lin Wang, an Asian elephant, who died on February 2003 at the age of 86. There are two types of elephant, the Asian elephant and the African elephant . Asian elephants have smaller ears and shorter tusks than African elephants. African elephant is bigger and taller than the Asian elephant. Elephants are now endangered. Today there are about 600,000 African elephants and 30,000 wild Asian elephants left. It is the responsibility of all of us to make sure that the children of the future don’t remember elephants as the dinosaurs of the 21st century. Elephants have no natural predators. However, lions will sometimes prey on young or weak elephants in the wild. Between 12,000 to 15,000 of the world’s elephants are living in captivity. Amazingly about 30% of the entire Asian elephant population is currently in captivity. Elephants herds are matriarchal. Female elephants live in groups of about 15 animals, all related and led by the oldest in the group. She’ll decide where and when they move and rest, day to day and season to season. An elephant herd is one of the most closely knit societies of any animal. In African elephants the weight difference between male and female can be of two tons, as males weigh on average 6 tons and females 4 tons. Asian elephants weigh about 1 ton less. The largest elephant on record was an adult male African elephant. It weighed 10,900 Kg and was 13 feet tall at the shoulder! Amazingly elephants have the largest brains in the animal kingdom weighing about 5 Kg about 3 to 4 times larger than that of humans. Their brains have more complex folds than all animals except whales. 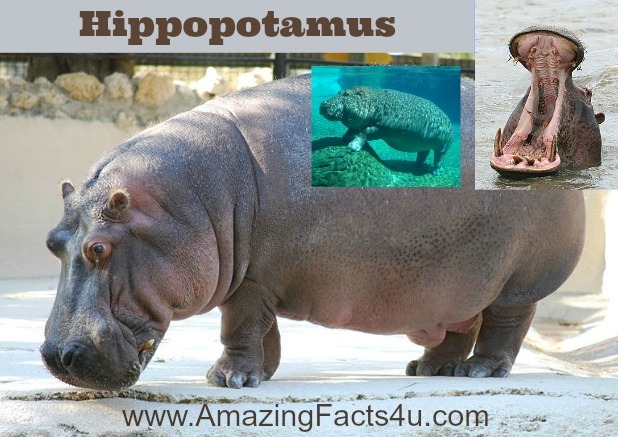 They have a more developed hippocampus, a brain region responsible for emotion and spatial awareness, than any other animal. Amazingly elephants are the only mammals, besides humans, to have chins. Elephants have only four functional teeth about 12 Inches long which can be replaced only 6 times. Thereafter elephants can’t feed properly. Amazing thing is the tusks are not canines but enormously enlarged incisor teeth. In the Asian elephants most of the males have tusks and females have none. In African elephants even females have smaller tusks. Elephants have four molars, one on the top and one on the bottom on both sides of the mouth. Each can weigh more than 2 Kg and is the size of a brick! Elephants have 6 sets of molar teeth which are replaced from time to time. When the last set is lost, the animal is unable to eat and eventually dies. Tusks are used for defense, digging for water, and lifting things. An elephant’s pair of tusks may exceed 200 kg. Elephant lungs have dense sheets of fibery tissue instead of having a pleural space between lungs and the chest case as humans and most mammals do, allowing their lungs to withstand pressures that would cause human lungs to collapse. This is a sign that elephant ancestors were marine creatures. Elephants have poor eyesight but an amazing sense of smell. Elephants can smell water up to 3 miles away. In fact African elephants have the best sense of smell in the animal kingdom. Like human toddlers, great apes, and dolphins, elephants can recognize themselves in a mirror. The trunk alone contains about 50,000 to 100,000 different muscles. African elephants have two fingerlike features on the end of their trunk which is very sensitive and it can pick up a single grain of rice with it. The elephant’s trunk is a fusion of its nose and upper lip and is the elephant’s most important limb. It is used for smelling, breathing, trumpeting, drinking, and also for grabbing things . Trunk can pluck a delicate flower or lift a huge log. The elephant’s trunk is able to sense the size, shape and temperature of an object. An elephant’s trunk can grow to be about 2 meters long and can weigh up to 140 kg. An elephant could carry up to 2 gallons of water in its trunk. Elephant can amazingly throw a man 35 meters (116 Ft) away with the trunk and can drag 2 tons weight with it. Amazingly all elephants walk on tip-toe because the back portion of their foot is made of fat and has no bone. As a result elephants can walk noiselessly. Elephants normally walk about 4 mph. Elephants use their feet to listen. They can pick up sub sonic rumblings made by other elephants, through vibrations in the ground. They are observed to listen by putting trunks on the ground and carefully positioning their feet. African elephants can run with the speed of 25 miles (40 km ) per hour which is much faster than fastest athlete. Asian elephants don’t run. Elephants can move forwards and backwards, but cannot trot, jump, or gallop. They are so heavy that they cannot get all four legs off the ground at the same time. Amazingly elephants are the only animals that cannot jump. Amazing fact is that elephants can’t survive 24 hours without drinking. This is the reason they choose to remain not far from water source. An adult elephant requires up to 250 kg of food and 150 Litre of water per day. Elephant’s skin is about 1 inch thick and is wrinkled.The wrinkled skin retains 5-10 times more water than a smooth skin and the mud stuck on it dries much harder, keeping coolness for longer periods. The wrinkled skin also loses more heat helping cooling. In spite of thick skin , an elephant’s skin is so sensitive that they can feel a fly landing on it. Amazingly elephants do not possess sweat glands. The elephant’s very large ears are used to radiate excess heat away from the body. No animal has a longer pregnancy term than that of the African elephant which is at an average of 22 months. At the age of 16, an elephant can reproduce, but rarely has more than four children throughout her lifetime. Elephant females can have babies until they are about 50 years old. At birth, an elephant calf weighs about 110 Kg. Newborns can stand up shortly after the birth. They are born blind. Mothers will select several babysitters to care for the calf so that she has time to eat enough to produce sufficient milk for it. The calf is suckled for at least two years. Elephants are known to be good, untiring long distance swimmers better than most mammals. Their massive bodies surprisingly provide enough floatation while they use their trunk to breathe like a snorkel in deep water. Elephants mostly swim with their face above water and their mouths below the water’s surface. Amazingly elephants can manage with only two to three hours of sleep a day. Elephants often communicate through infra sounds at sound levels 5 to 25 Hz which is inaudible by us . If you flap your hands faster than 5 times a second, an elephant can hear the sound. It is vital to recognize aggression in elephants in the wild. It is expressed by threatening with twirled trunk and by throwing dust in the air. The African elephant also flutters its enormous ears. Advantage of infra sound communication is that they can travel vast distances without losing strength. This explains coordinated movements of elephant herds. Female elephants spend their entire lives living in large groups called herds. Male elephant leave their herds at about 12 to 15 years old and live independent lives thereafter. Elephants are social animals. They play , cry , laugh and have good memory. They express grief and compassion. They carry out greeting ceremonies when a friend that has been away for some time returns. Elephant is highly emotional animal and can die from broken heart. Elephants pay homage to the bones of their dead, gently touching the skulls and tusks with their trunks and feet. When they walk past a place that a loved one has died, they will stop dead still for few minutes. When the author of the book “Elephant Whisperer” Lawrence Anthony died, a herd of elephants arrived at his house to mourn him. Amazingly the average elephant weighs less than the average blue whales tongue. No one has ever been able to domesticate the African elephant. Amazingly only the Indian elephant can be trained by man. Amazing fact is that elephants, even though the largest animal on land are extremely scared of bees and ants. Only three mammals undergo menopause namely elephant, humpback whales and human females. The elephant is the only animal having four knees. Amazingly about 100 elephants are being killed every day for their ivory. The street value of elephant ivory is about as much as Gold. In fact, an elephant led to the discovery of an oil field during the British occupation in India. A British official working at the first railway in the area of Digboi in state of Assam noticed an oily substance on the limb of an elephant which led to a bubbling oil pool which was the first oil field opened in Asia, in 1889. Today, though the production is very low, Digboi still has the distinction of being the world’s oldest continuously producing oilfield. Thomas Edison electrocuted an elephant in 1903 to prove his rival Tesla’s AC current was dangerous.